The BBC Wildlife Fund (BBCWF) and the Whitley Fund for Nature (WFN) are teaming up with the Nature Conservation Foundation (NCF) to launch a new program aimed at securing a healthy population of snow leopards across Asia. Snow leopards are one of the most endangered big cats in the world. They are found across 12 Asian and Eurasian nations from Afghanistan to Bhutan, and experts believe that as few as 3,500 may still exist in the wild. WFN and NCF will focus on China, Mongolia and India—the three countries with the highest concentrations of the species. This joint project will focus on empowering local communities in each country to adopt a series of conservation measures, including environmental education, community‐based wildlife monitoring, anti‐poaching programmes, and cross‐collaboration between regional and national government offices. The project will be implemented together with leading national conservationists based at NCF, Shan Shui and Peking University in China, and the Snow Leopard Conservation Fund in Mongolia. The Snow Leopard Trust (SLT), recognized as the global leader in snow leopard conservation, will also participate in the project. 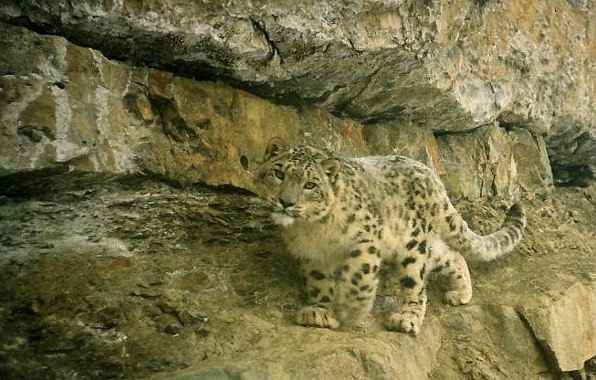 The BBC Wildlife Fund is providing nearly £60,000 ($90,000 US) over the next two years in this program for conservation in regions critical to the survival of the snow leopard. A press release about the program is available here [PDF]. Amazing amazing vision. Wish I could read more about this in detail.